Nanzen-ji Temple is not quite as busy as the areas of Kawaramachi and Teramachi in the heart of Kyoto; it feels quieter, more serene. Nanzen-ji Temple is, of course, most famed for its cherry blossoms and autumn leaves, and during these peak times, the temple can get quite busy. But there are also many other sightseeing spots by Nanze-ji Temple, like Philosopher’s Path and Eikan-do Temple, so there is a lot to do around this excellent autumn leaves appreciation spot. 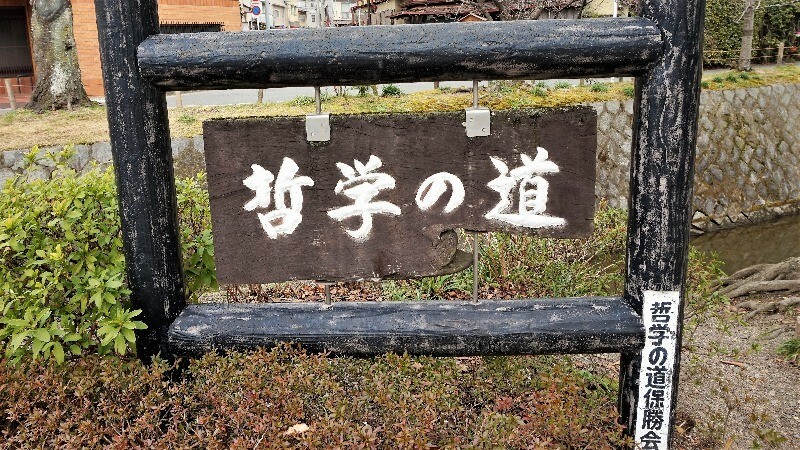 If you continue on from the temple, you can also get to the peaceful garden of Murin-an, where you can forget everything about the hustle and bustle of the city. So when planning your itinerary for the day, I recommend that you start planning by thinking around Nanzen-ji Temple, as this way you can get the most of your time in Kyoto! When you enter the temple, you get to see the huge Sanmon gate right away. When the gate is surrounded by autumn leaves, it looks even more breathtaking. You don’t have to just look up to it; you can actually climb to the second floor too, from where you get to see the whole of Kyoto below you. This is one of the most charming parts of Nanzen-ji Temple. 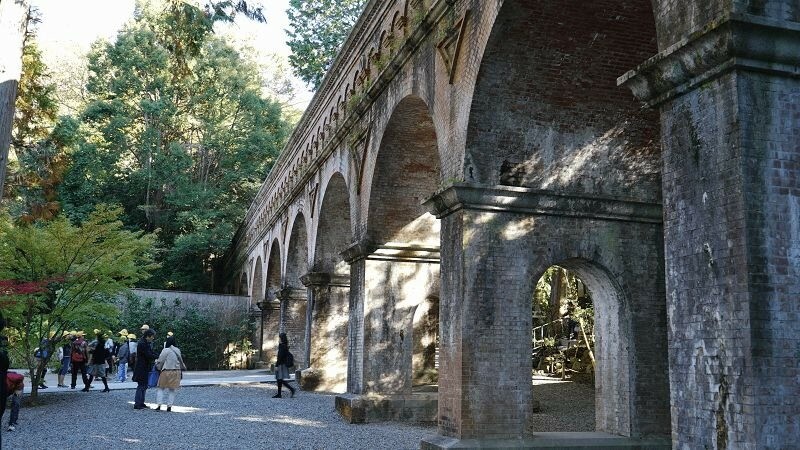 The other famous part of Nanzen-ji Temple is a bit newer, and it’s actually an aqueduct called Suirokaku, and it runs across the grounds of the temple. 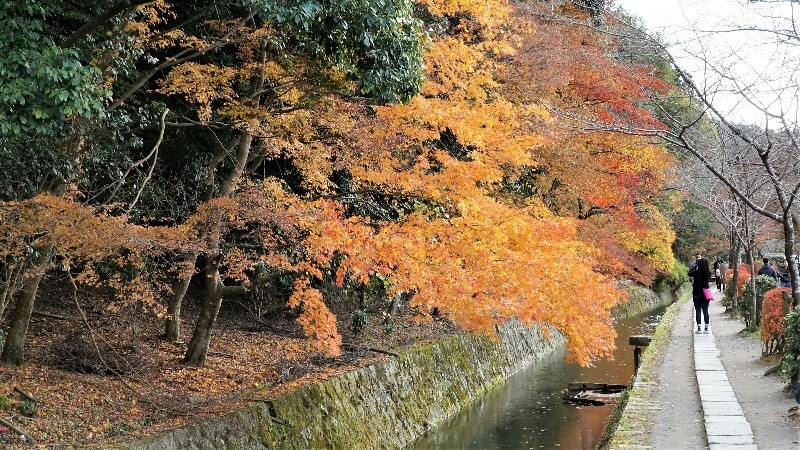 When the leaves turn red, you can take beautiful pictures of the reddish aqueduct and the leaves surrounding it. This is a very popular photo-spot, so I recommend coming early. Eikan-do Temple is located close to Nanzen-ji Temple, and it’s also known by the name Zenrin-ji Temple. There are over 3000 maple trees on the temple grounds, which is why the temple is often called “Eikan-do of the maple leaves.” So, as you can probably expect already when the season hits Eikan-do, the sights of the temple are truly breathtaking. 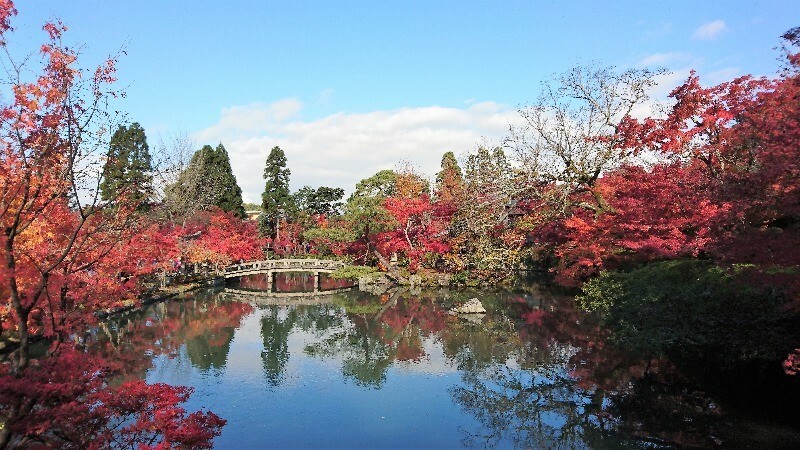 Hojo Pond, which you can see in the picture, is the most picturesque place at the temple, as the autumn leaves are reflected in the surface of it. When you continue on the temple path, you will get to the highest place in the temple, from where you get to see the whole of Kyoto below you – almost like a painting! 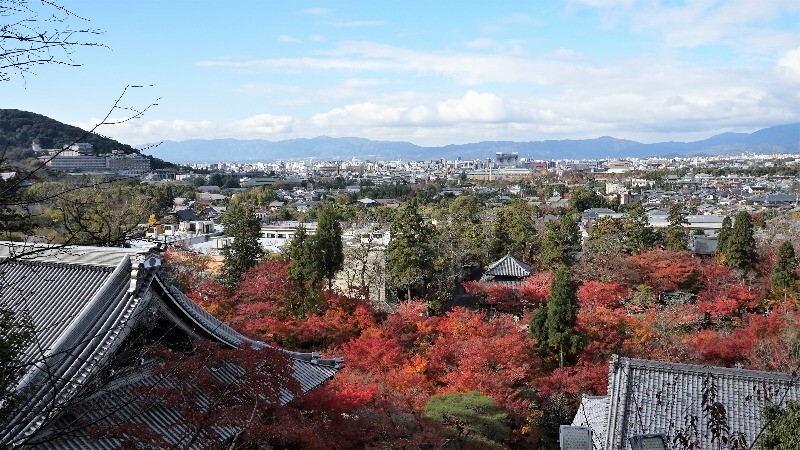 As you look at the beautiful autumn leaves scenery unfolding below your eyes, you start to really appreciate the thousand years of history behind this city, and I hope you will also start to like Kyoto even more than before. Between Ginkaku-ji Temple and Nanzen-ji Temple, there is a picturesque little path known as Philosopher’s Path that will take you around 30-minutes to walk from end to end. This path is named after a philosopher who used to take daily walks on it. Many Kyotoites also take daily walks on it. The busiest periods at Philosopher’s Path are spring autumn, for cherry blossoms and autumn leaves, respectively. There is a kind of poetic feel to the way the area feels in autumn when you get to walk on the path and watch the red and yellow leaves, and the season turning slowly to winter. There are also many shops and restaurant by the path, so it’s really worth taking the time to walk it at least once. About a 10-minute walk from Nanzen-ji Temple is the garden of Murin-an . There are usually not many people at it, and the spacious garden has a stately feel to it, but you can still feel relaxed here. 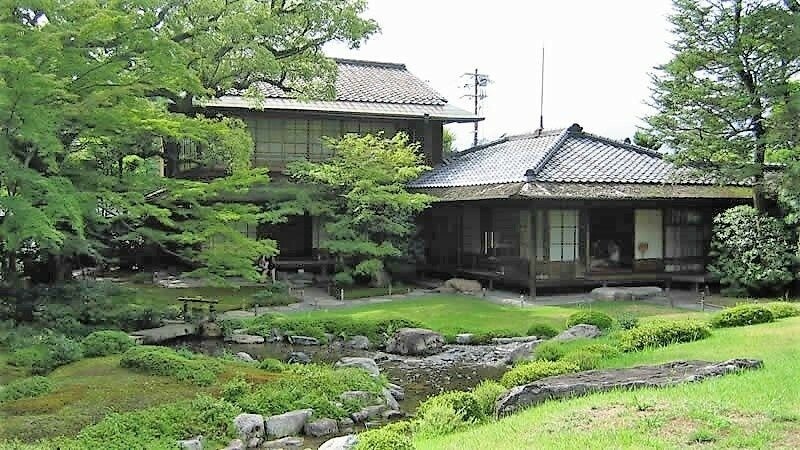 This used to be the villa of a famous politician, but as it had no neighbors at the time, it’s called “no-neighbors” in Japanese (Murin-an). There is an exhibition on the first floor of the Western building, where you get to learn about the history of Murin-an. 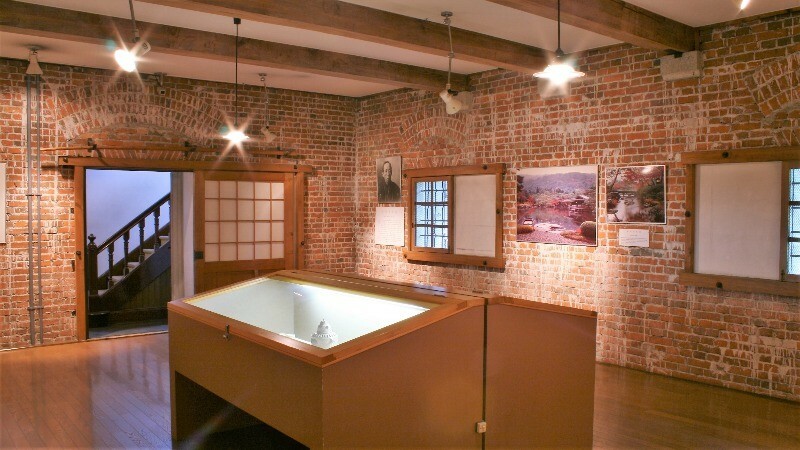 The building is made from red brick, and is in dark contrast with the Japanese building, giving it a completely different atmosphere. From the second floor, you get to see the beautiful garden below you, so stop here for a moment, and enjoy the view! Nanzen-ji Temple is one of the most popular sightseeing spots in Kyoto, and there are many nice photo opportunities at the temple. But there are many interesting spots by it too, so when planning where to go in autumn be sure to include Nanzen-ji Temple in your plans, and you’re sure to be satisfied! 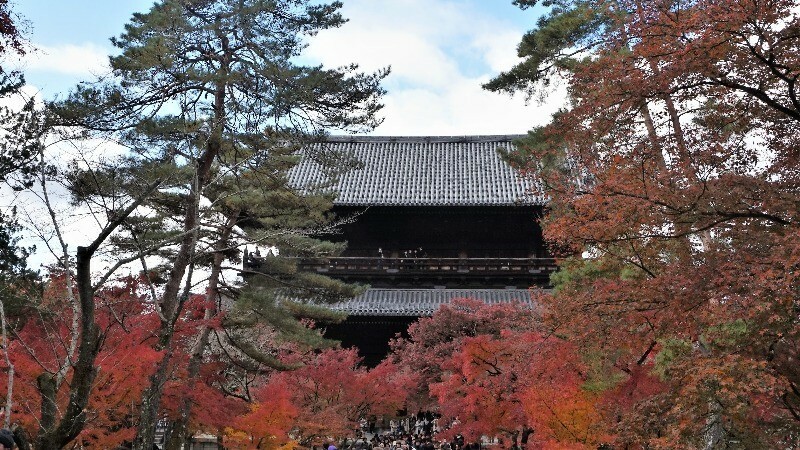 Part 2Enjoy the history of Kyoto in Okazaki, and experience the culture of Kyoto! Part 3Start enjoying the delicious cuisine of Kyoto from Nanzen-ji & Okazaki! Part 4Shopping spree Nanzen-ji style!